The Starmore Desk Chair encompasses an urban industrial design that you won't be able to get enough of. Crafted for looks and comfort, the tufted box seat wrapped in a weathered upholstery is simply loaded with retro chic flair. 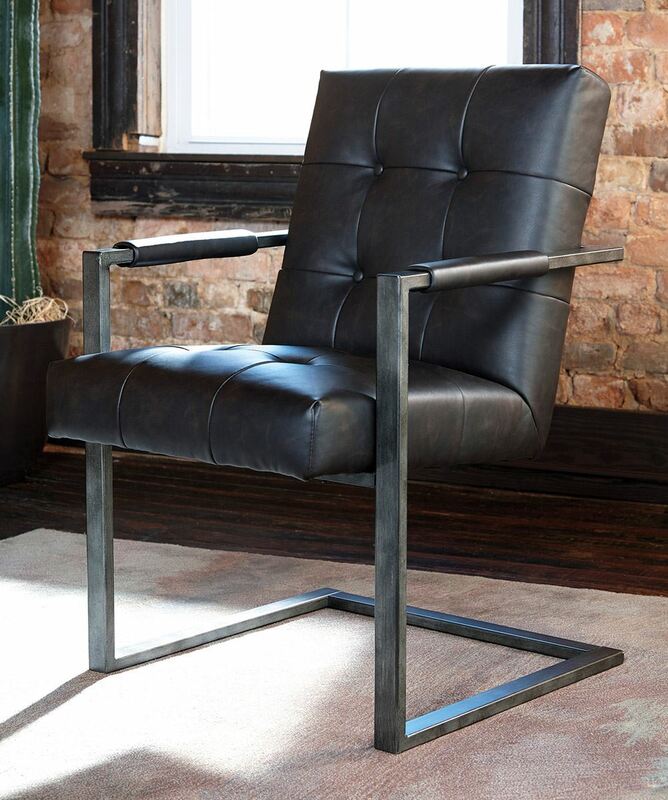 The Starmore Desk Chair encompasses an urban industrial design that you won't be able to get enough of. 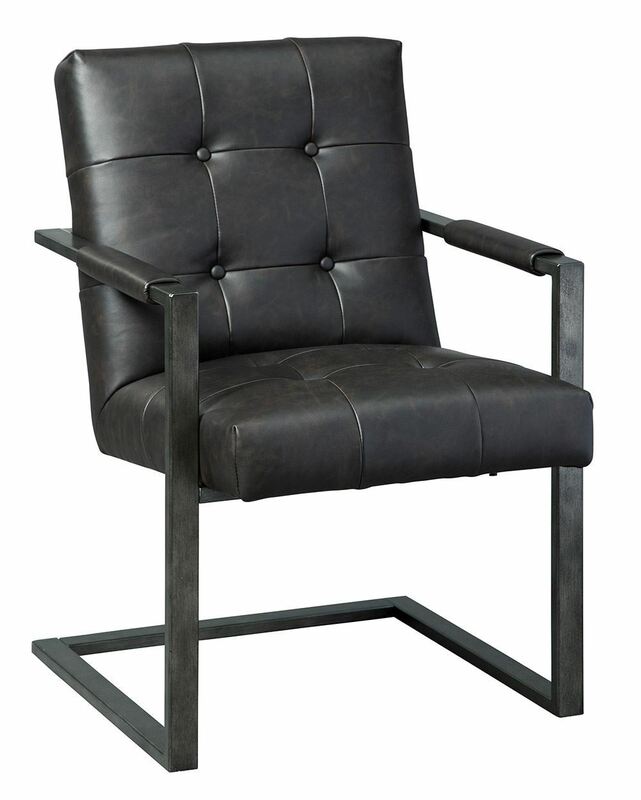 Metal frame in a blackened gunmetal finish. Tufted box seat wrapped in a weathered faux leather upholstery.